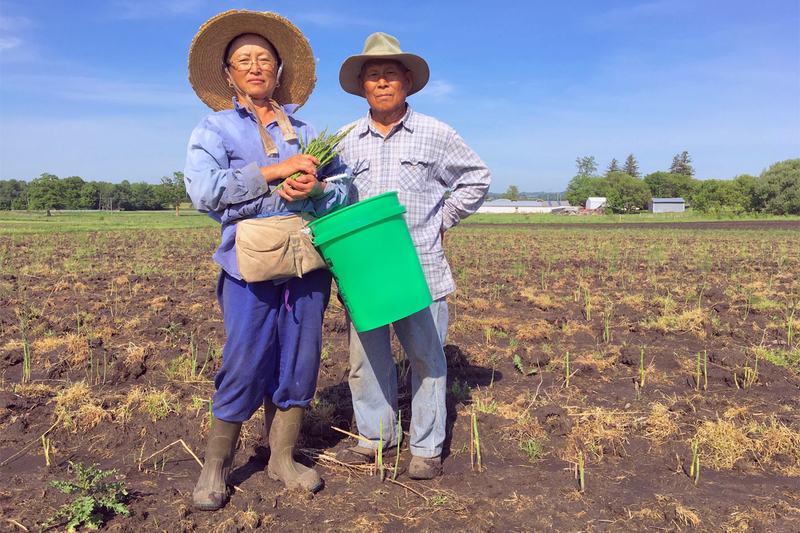 Hmong farmers Blia and Phua Thao put their 40-plus years of experience to work in Spring Valley, where they grow organic produce entirely by hand. The “organic farm” sign outside of Thao’s Garden. Consistent with the farming practices used in the Hmong culture, Phua and Blia weed and harvest exclusively by hand. That’s why, for the past several seasons, they’ve kept less than half their land under active cultivation, farming on the same 13 acres each year. This hands-on approach leads to a farm powered by many hands. They have assistance from extended family members, many of whom live nearby in Minnesota’s Twin Cities, and they sometimes hire local people to help out. 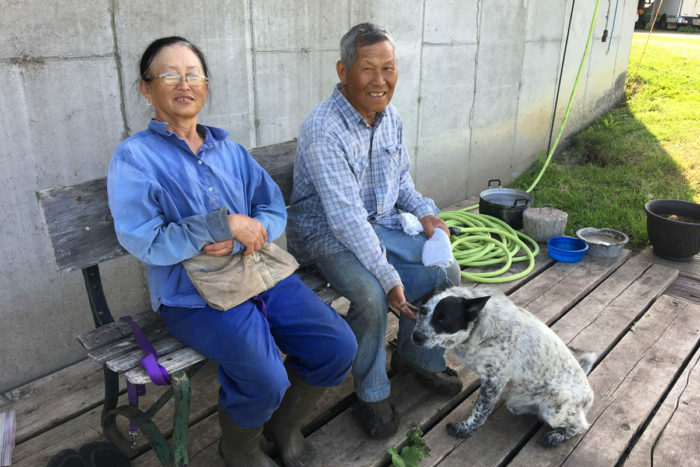 Their son Boun, who lives with them, works on the farm most summer mornings before making a one-hour commute to Minneapolis for his job in the Hennepin County library system. The Thaos were invited to give the keynote address at The Food Group’s Emerging Farmers Conference in Minnesota earlier this year. But their journey to this green patch of farmland in the Upper Midwest started thousands of miles away and decades ago. In 1961, Blia was 21 years old when he left Laos for a year of military training in Thailand led by the U.S. Central Intelligence Agency (CIA). In the years that followed, he joined the 30,000 men who were to serve as CIA guerilla fighters during the Vietnam War. Their covert military operations are now referred to as the Secret War. Phua (left) and Blia Thao at Thao’s Garden. Blia and Phua moved to a refugee camp in Thailand with their four children, and the family’s future was unclear. Blia gave birth to their fifth and youngest child, a daughter, in the camp. After a year, they learned they could move to the U.S.
“Because of the war,” Phua says, “we never farmed in Laos.” But agriculture had long been an important part of Hmong culture, and her parents grew corn, rice, and squash. In her youth, Phua learned from them while helping to raise her younger siblings. The Thaos stablished their first farm outside Beatrice, Nebraska, where the family moved in 1976 after leaving the refugee camp. A local Lutheran church sponsored their move, and its members also helped them take night classes to learn English. Blia took a job as a janitor and inspector with AT&T and worked for the company for 22 years. Blia and Phua moved to western Wisconsin after one of their grown sons, a medical doctor, moved to Minnesota’s Twin Cities, 50 miles west. And for the past 11 years, they have been part of the Upper Midwest’s farm community. The Thaos’ deep commitment to organics has helped them connect to a network of other producers in the region. According to a 2017 University of Wisconsin organic agriculture report, the state ranks second only to California in its number of organic farms, and third nationwide in organic acres. 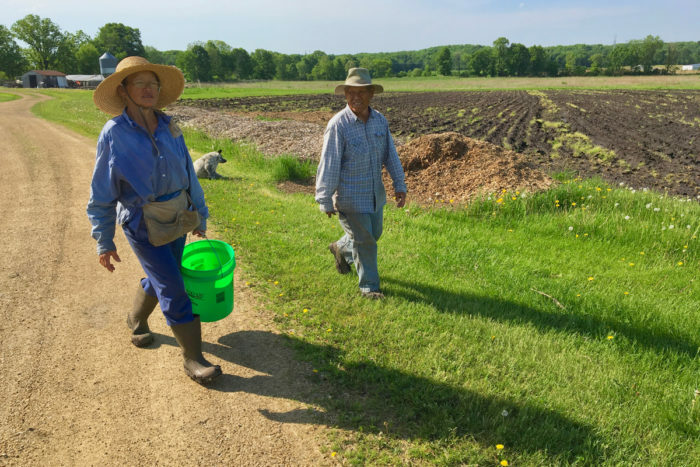 It’s not clear how many organic farmers in Wisconsin are Hmong. But according to the 2010 U.S. Census, the state’s Hmong population of around 47,000 is the third-highest in the country, and Hmong producers are significant contributors to the area’s farmers’ markets. 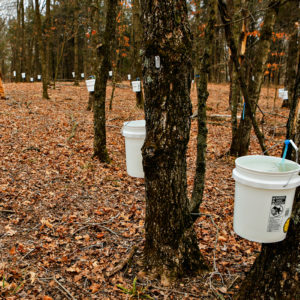 Diane Mayerfield, the Wisconsin Sustainable Agriculture Research and Education state coordinator and an outreach specialist with the University of Wisconsin-Madison Extension, notes that many Hmong producers in Wisconsin also grow ginseng to sell into the commodity market. But she says that diversified producer growers like Phua and Blia are more visible to the general public. For example, Hmong producers at the enormous Dane County Farmers’ Market in Madison comprise nearly 20 percent of the market’s 270 members. MOSES headquarters in Spring Valley, Wisc. Many Hmong growers share Blia and Phua’s commitment to chemical-free farming, Mayerfield says, but the Thaos stand out for their full organic certification. They worked with the Spring Valley-based farmer resource nonprofit Midwest Organic & Sustainable Education Service (MOSES) to go through the process in 2012. They’ve also participated in trainings at the MOSES annual conference, the largest event of its kind in the U.S.
Blia and Phua know that organic certification makes their farm unique, but they’re reluctant to consider themselves innovators in other areas. 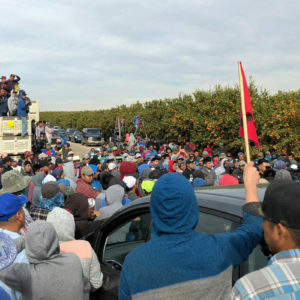 More than anything, they prize the close personal connection they their land and their produce. 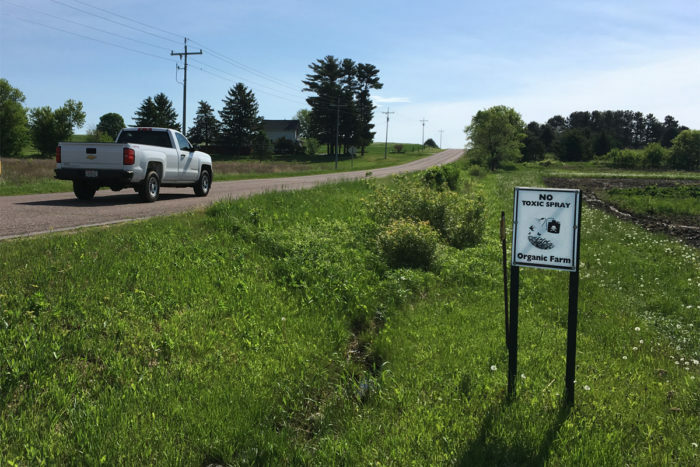 While the Thaos grow their produce in Wisconsin, all their off-farm sales occur in Minnesota. 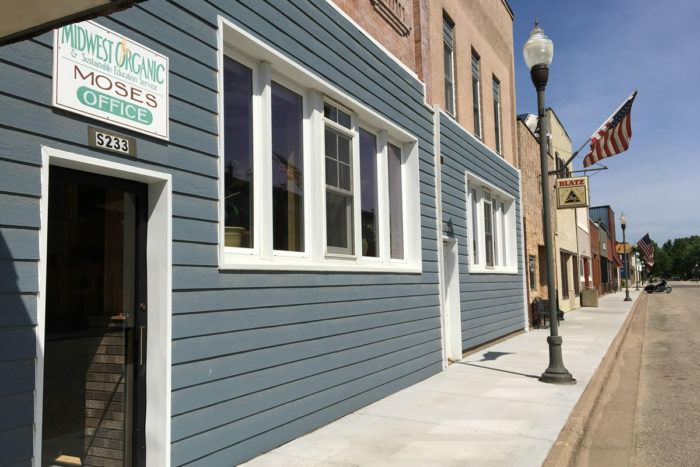 In addition to the farmers’ market, they have a contract to sell bulk produce to a Twin-Cities-based food hub, The Good Acre. 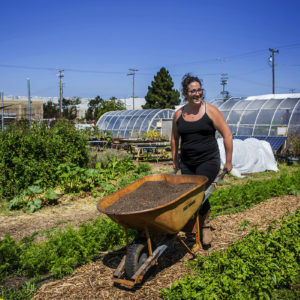 The Good Acre works to expand producers’ access to markets, especially among immigrant and underserved farmers, and includes the Thaos’ vegetables in multi-farm CSA boxes. 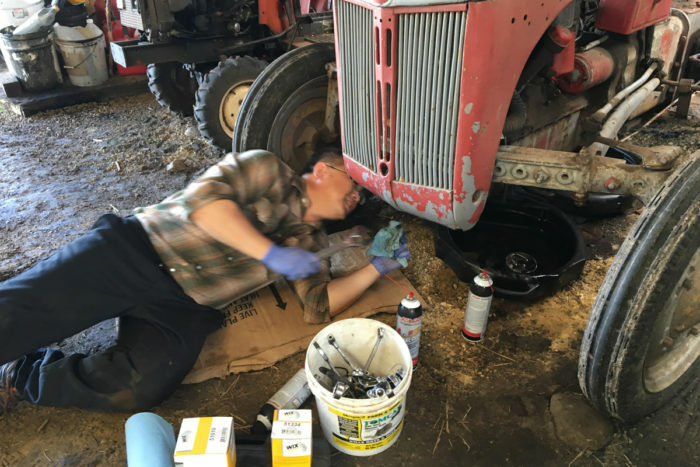 Blia and Phua’s son Boun changes the oil in Thao’s Garden’s tractor. They will also host a field day this fall for other farmers who are considering building their own high tunnels. Staff at the Good Acre and MOSES will invite other immigrant and underserved farmers to learn from the Thaos. The Thaos are grateful for the help they’ve been offered since coming to the U.S.—from Nebraska to Wisconsin. “Anything we need, we go to any neighbor,” Blia says. Phua (left) and Blia Thao. Wonderful news! I hope to visit you the next time I am in Wisconsin. I am so impressed that they do this out of love for good food and their land and at their ages. What an inspiring pair of role models!